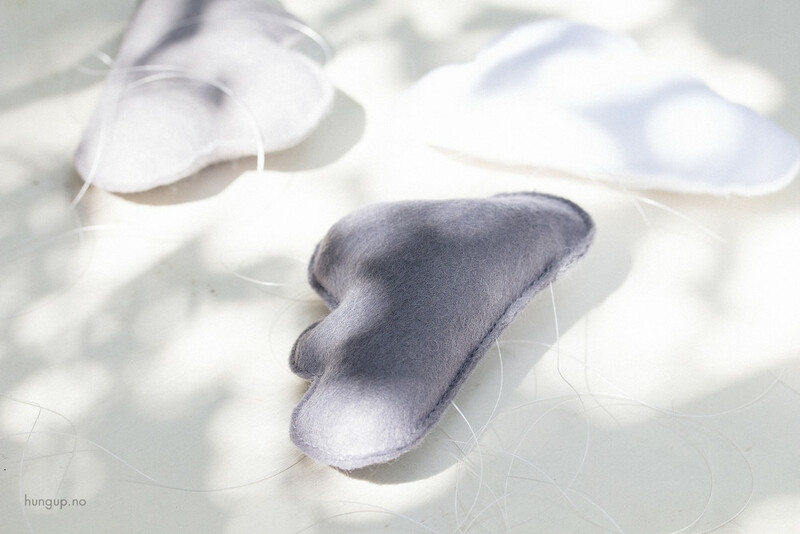 I came across some beautiful cloud shapes baby mobiles from Kongel Sløjd, and wanted to see if I could make my own version for my sisters baby girl. 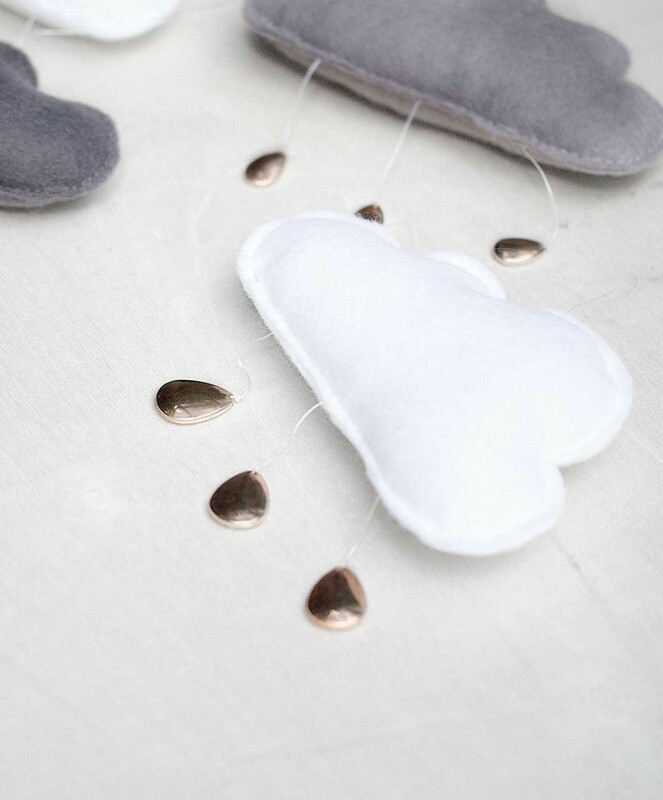 After all, she will be born in the rainiest cities in Norway, so some sweet little raindrops hanging over her bed is just appropriate. 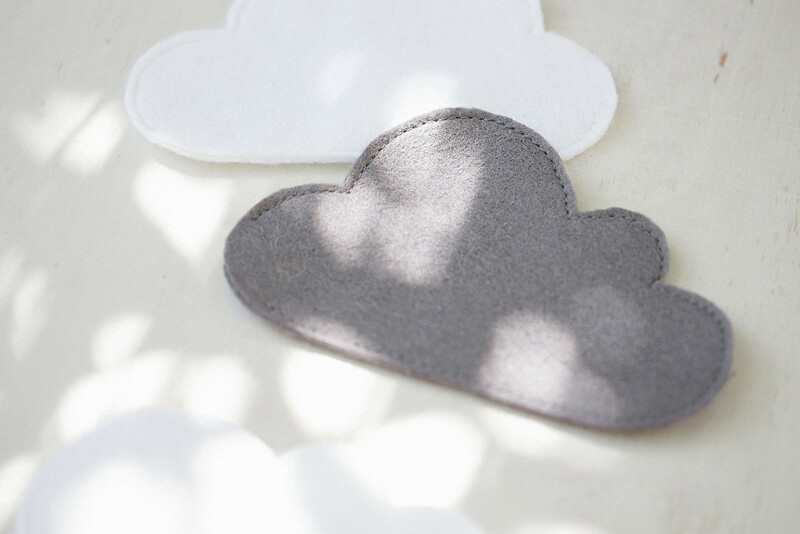 I’ve made mine out of four clouds in three different colors, but you can make it with as many or few clouds and colors as you like. My take on the baby mobile might not be the all that stimulation for the baby, so I’ll maybe make a more colorful version later. 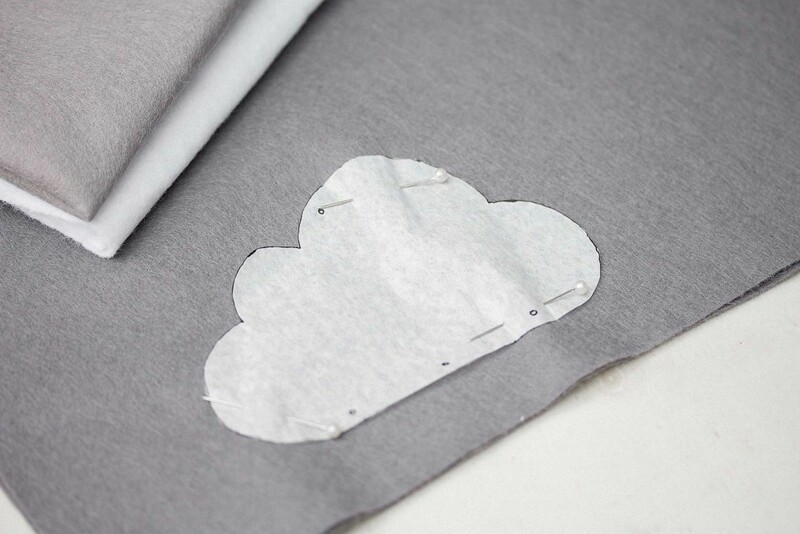 A tip is to make a prototype out of paper to determine the number of clouds and the distance between them. 3 – Thread transparent twine on a needle. 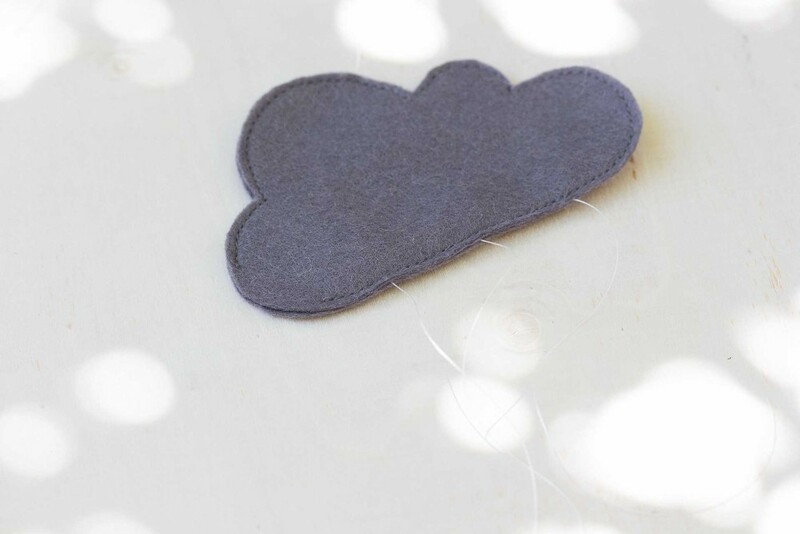 Insert the needle into the seam between the two pieces of fabric where the raindrop leftmost will hang (1). 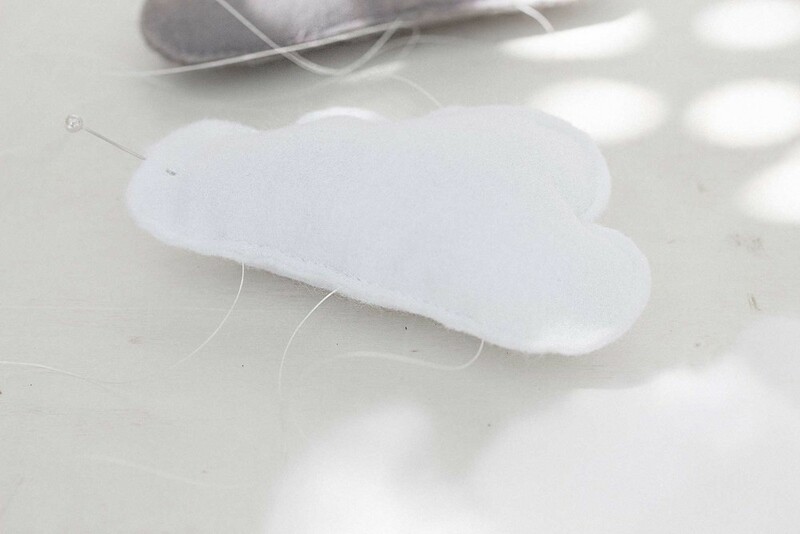 Leave about 10 cm of twine on the outside of the cloud, and fasten by sewing along the seam a few times. 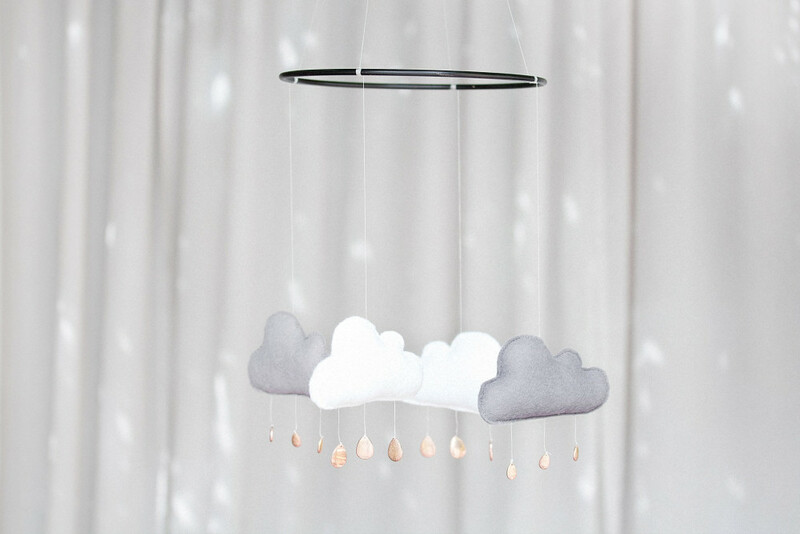 8 – Lift up the mobile and make sure it hangs parallel to the floor. Make a knot including all four of the twines about 15-20 cm from the large metal ring. Make sure all of the twines have the same length. Tie this carefully to the small metal ring, and you are all done! 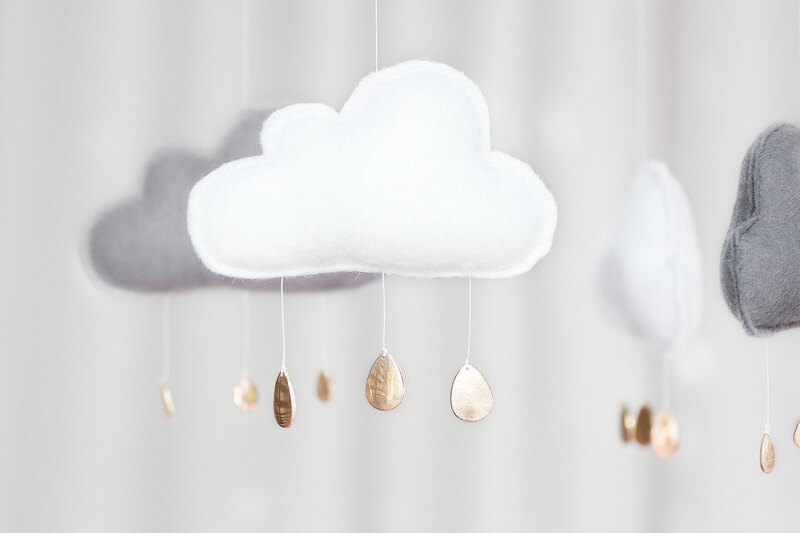 Please remember to hang the baby mobile high enough so the baby can’t reach it, and that it’s securely fasten so that it can’t fall down on the baby.